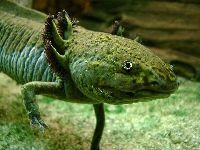 Axolotls can regenerate lost limbs. 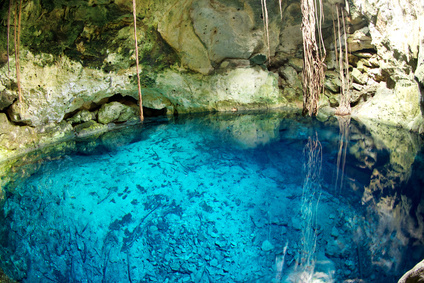 Axolotls are critically endangered in the wild, due to urbanization and pollution around Mexico City, where they live. Axolotls are native only to central Mexico, and their habitats are being destroyed and polluted. 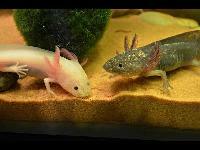 Axolotls are carnivorous, and locate food with their sense of smell. 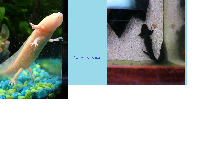 Axolotls can get up to 30cm in size. 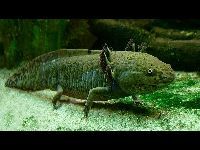 There are creatures called mud puppies that look the same as axolotls!